Cutee has always suffered in the summer when insect bites would cause her skin to become inflamed and irritated. We tried everything to give her comfort from the horrible insects we have here in the south—fly sheets, organic fly sprays, medicated shampoos, other coat conditioners—even installing a fly spray system in the barn! No matter what we tried, the irritation remained and her coat stayed white and dull. We got tired of people at shows asking, “What color is your horse?” Thanks to SmartBug-Off, Cutee has not had to wear her fly sheet or see the vet about her skin problems. 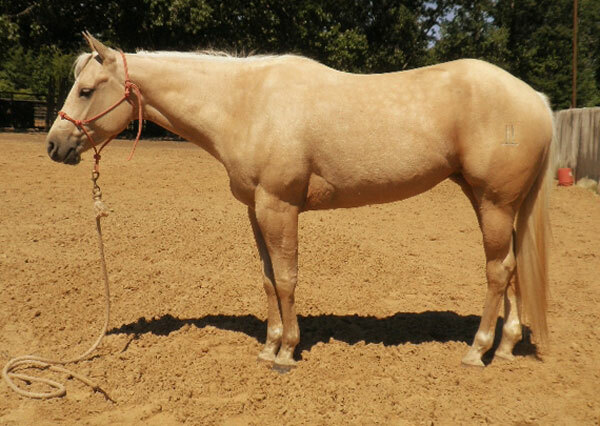 Her coat is now a beautiful palomino, and she even has rich dapples. Thank you so much, SmartPak. I wish I had know about this sooner!!! I had an aged pali mare that suffered from the same problem. She would get welts all over her neck, face, shoulders and chest. The vet said we could do costly allergy shots but instead i kept her sprayed down and washed the bites with a medicated soap and it helped to clear it up some. but now if i have another one who turns out like this i know exactly what to do to it!!! We used Citranella spray to keep bugs off our Palomino and she was 16 When we put her down. She got welts all over her and was in such miserably skin from the bites, the Citranella was great, just didn’t last long and she was being eaten up again, by deer flies, and Horseflys it was so hard on her, and expensive to buy it, She would roll in dirt and keep them from being so bad, so a good mud coat helps their skin stay free from bites too. The Citranella spray was so expensive, but used it at fair and away from home, at horse shows it was the only thing that ever helped her too…Hope this might help you also, Good Luck.. I had not heard of this product before but now that I have, I will try it. Out horses get welts from bites all the time. We keep them washed and clean but nothing seemed to help.